This week has been full of busy – in attending the CIfA Conference, in further preparations for our own meetings and taking in details of other events happening in April and May. We will report back upon those events that we can. Archaeology without borders was one of the CIfA conference themes. In the same vein we alert you to events covering the ground between Ancient Egypt and more local ancient environments to the north today to two weeks in times. We work from the south to north, from ancient times to more recent, as well as drier to wetter sites, in the notices for three events in this email. We will also be reporting of our own event next weekend through emails, and also discussing that, at our AGM. The details for the latter day in May will be sent out later this week. 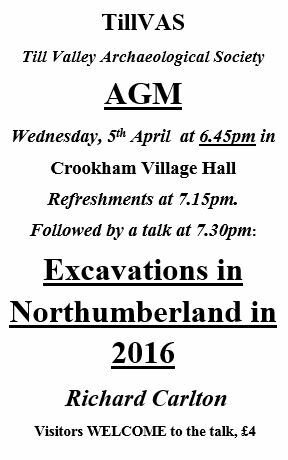 It is hoped that as many of our members and group members can attend these events as possible – we are the regional group for archaeological groups and individuals. Though across the North and with many interests, groups and sectors across the archaeological and historical world and ourselves, we are all interested in the past. We have no borders in what we do for you! Today is a joint lecture of our group member the ‘Arch & Arch’ to hear of on-going PhD research. 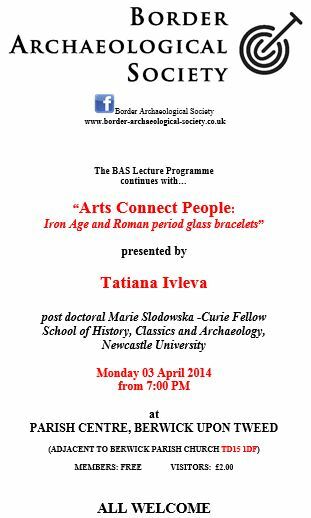 This is at the usual time and place – Room 140 Elvet Riverside, Durham University, Durham – that the Arch & Arch lectures are held. However today the subject matter is at more of a distance to our local area. 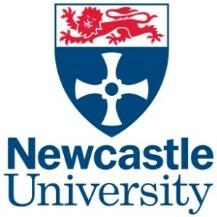 In a joint lecture with the North East Ancient Egypt Society, James Taylor will be talking on ‘Desert wastes, pagan temples and the Nile valley; locating monasteries in Coptic Egypt’. Also in Egypt, but during World War One, were many soldiers from across the CBA North region. Next week The Society of Antiquaries of Newcastle upon Tyne’s lecture deals some of those soldiers. This lecture will be given by Alistair Fraser on the 18th Battalion Durham Light Infantry. His title is ‘A Battalion on the Learning Curve; 18 DLI in training and in war’. This lecture will be at the Mining Institute on 26 April at 6 p.m. Further details on The Society can be found online through our website. The Battalion was garrisoned at Suez guarding the vital canal, so somewhat wetter than the desert alone, and also on the Western Front with the horrific and well-known wetness of that environment. Still progressing further north, wetter and more locally, bringing the story up to date, the following – in the first week of May – is next TillVAS lecture. This lecture will deal with many local wetland environments and what can be gained from their study. Details for TillVAS can also be found through our website pages. It will also, no doubt, highlight how fluid and changeable the environment has been – not just from pollen cores, but also sediments and volcanic ash. Yesterday, as much reported in today’s papers was the first day that the National Grid did not use any coal, though changes to other sources of power. It seems quite apposite that we send you something on environments on World Earth Day. This entry was posted in E Newsletter and tagged AASDN, Ancient Egypt, lecture, NEAES, research, SANT, TillVAS, World War 1 on April 22, 2017 by cbanorth. We hope that CBA North’s members and followers have been enjoying the spread and range of events across the CBA North region in the past week. There are still, however, many April events still to come; that includes our own CBA North event for which there is still time to book up.We will be circulating a summary of the workshop discussion part of the day soon after the event. If you are unable to attend, but would like to contribute to the Conference/Workshop please send those in as soon as possible. This is the last email call for booking up at our own CBA North event on Saturday, 29th April 2017. You still have some time to book a place for you or others of your local group/s. We have circulated the details to a number of other local groups, but please feel free to circulate this email further around your contacts as well. We are keen that everyone that may be interested can come along to what will be both an interesting and entertaining day. Here are the short and long links that you can circulate around your group if you are having difficulties forwarding the email and sharing the blog post onwards. You can also use the Forward to a Friend link that can be found on the left hand side of this email as well. Our website opens with details for the day as well where the page includes a Word downloadable booking form here. We will send out an acknowledgement to all those who have booked places during next weekend. This entry was posted in E Newsletter and tagged Archaeology, CBA North, community, conference, workshop on April 10, 2017 by cbanorth.